MN2S has secured Fatman Scoop's involvement in this year's Super Bowl spot celebrating the NFL's 100th anniversary, airing during this Sunday's Super Bowl halftime show. Legendary NY hype-man Fatman Scoop has recorded the soundtrack for the NFL’s 100th season Super Bowl film, lending his unmistakable voice, music and energy to a landmark advertisement seen by millions of viewers across the globe. This weekend’s Super Bowl LIII sees the two-time defending AFC champion New England Patriots face off against the Los Angeles Rams, marking the end of the NFL’s 99th season – which means the 100th is right around the corner. This historic anniversary isn’t set to kick off until September, but the NFL are giving viewers a taste of what’s to come with an ambitious commercial premiered before today’s halftime show. Directed by Friday Night Lights creator Peter Berg, this historic advertisement will continue to run throughout 2019 and the NFL’s 100th season. Featuring an all-star cast of over 40 active and retired players brought together in one room, this unforgettable ad includes, among others, Terry Bradshaw, Tony Gonzalez, Franco Harris, Von Miller, Marshawn Lynch, Deion Sanders, Larry Fitzgerald, and Peyton Manning. 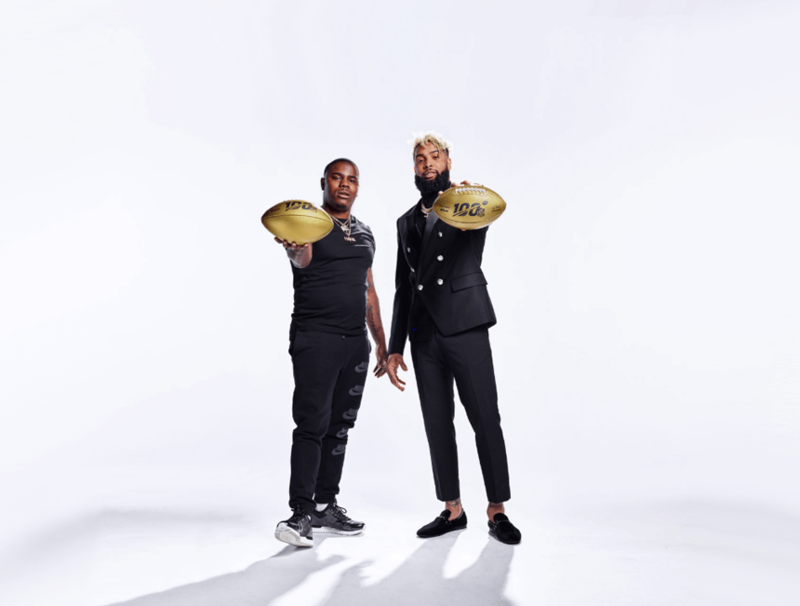 One of the most highly-anticipated advertising events of the year, the NFL’s ad is set to kick off their centennial celebrations with a bang, acknowledging the history of the game while setting the tone for the upcoming year-long celebration of their 100th season. The two-minute Super Bowl ad sees a black-tie dinner transform into an uproarious football free-for-all, with greats of American football young and old facing off to the sounds of Fatman Scoop, whose instantly recognisable vocal hooks bring an irresistible energy to the commercial. The Super Bowl is not only the crown jewel of the sporting calendar, but also one of the entertainment industry’s biggest events, with a halftime show that invariably features jaw-dropping line-ups comprised of the hottest names in American music. This year is no different, with Maroon 5, Travis Scott and Big Boi taking to the stage at Atlanta’s Mercedes-Benz Stadium. One of the most-watched events in American television, the Super Bowl was seen by close to 120 million people in the U.S. alone last year, with global viewing numbers likely stretching into the billions.